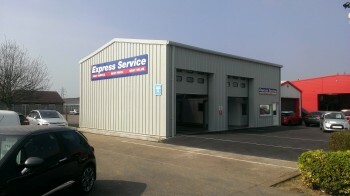 Welcome to Express Service for MOT Testing in Kings Lynn, Norfolk. No slot available for when you want an MOT Test? If there isn't a slot available for when you want an MOT Test simply give us a call on 01553 770144 and we'll see if we can fit you in. The MOT test was first introduced in 1960 under the direction of the Minister of Transport, Mr Ernest Marples. The test was originally a basic test including brakes, lights and steering check which was to be carried out after the vehicle was ten years old and every year there after. This became known as the ten year Test, or alternatively the Ministry Of Transport Test.In 1962, the first Commercial Vehicle exam was created and a valid certificate was required in order to receive a tax disc, and in April 1967 the testable age for an MOT was reduced to 3 years. On 1 January 1983 the testable age for ambulances, taxis and vehicles with more than eight passenger seats, excluding the driver's was reduced to one year. The list of items tested has been continually expanded over the years. Including in 1968  a Tyre check; 1977  checks of windscreen wipers and washers, direction indicators, stoplights, horns, exhaust system and condition of the body structure and chassis; 1991  checks of the emissions test for petrol engine vehicles, together with checks on the anti- lock braking system, rear wheel bearings, rear wheel steering (where appropriate) and rear seat belts; 1992  a stricter Tyre tread depth requirement for most vehicles; 1994  a check of emissions for diesel engine vehicles; 2005  introduction of a computerized administration system for issuing non-secure test certificates. Also rolled out in 2005 was the creation of the 'Automated Test Bay' this differs from traditional testing by adding additional equipment to the bay to negate the use of an assistant during the test; 2012  checks of secondary restraint systems, battery and wiring, ESC, speedometers and steering locks. 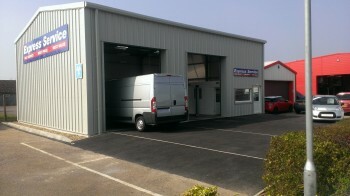 It is a common misconception that the MOT inspection provides an irrefutable record of a vehicle's mileage. However, although the mileage is recorded during the test, no part of the inspection requires the test station to verify that this is indeed the actual mileage. It is merely recorded, and any tampering of an odometer would not be discovered as part of the MOT inspection. 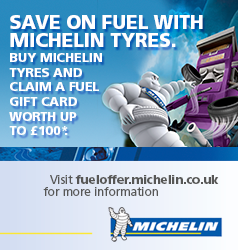 On 18th November the MOT certificate show the vehicles recent mileage history. This has been introduced as part of a government initiative to reduce vehicle crime. Where available, the mileage history will comprise the readings associated with the three most recent VT20s (test passes) along with the date of those readings. 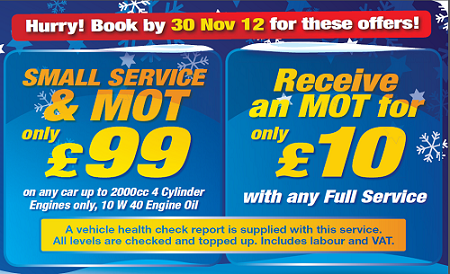 CALL NOW on 01553770144 to book a MOT Test or use our on-line MOT Testing booking system.